Did you watch the television news magazine 60-Minutes last evening (12/09/18)? One of their feature pieces was on how electronic devices are particularly habit forming, and social media plays on that dependency, serving to severely depress many teens. Despite our knowing inherently that social media comparisons are unreal, anxiety inducing, and limiting to your life, many still believe all that they read. That impression you are often reading of the “incredible” relationship, busyness of every meal cooked, places visited, and chores completed, supposed sadness or happiness, and all the other minutia can quite often be to garner sympathy, jealousy or merely to portray a false narrative. For the addictive mind or teenage mind, it can be life altering. Many a study has been done showing how teenage minds and those with habit forming behaviors can suffer from compulsive social media use (see list of articles with studies cited below). These sites can trigger ADD or ADHD or send an already addictive personality spiraling into the morass of seemingly fun, but ultimately harmful obsessive use. So, here are some helpful tips. Avoid using social media and digital devices in general during work, on every break, and throughout the evening at home. Set strict time limits and stick to them to keep it from taking over your life. NEVER USE YOUR PHONE OR DIGITAL DEVICE WHILE DRIVING (frankly the fact I had to put this in the article makes me sick). Take the phones and iPads/digital devices out of the bedroom at night to avoid temptation. 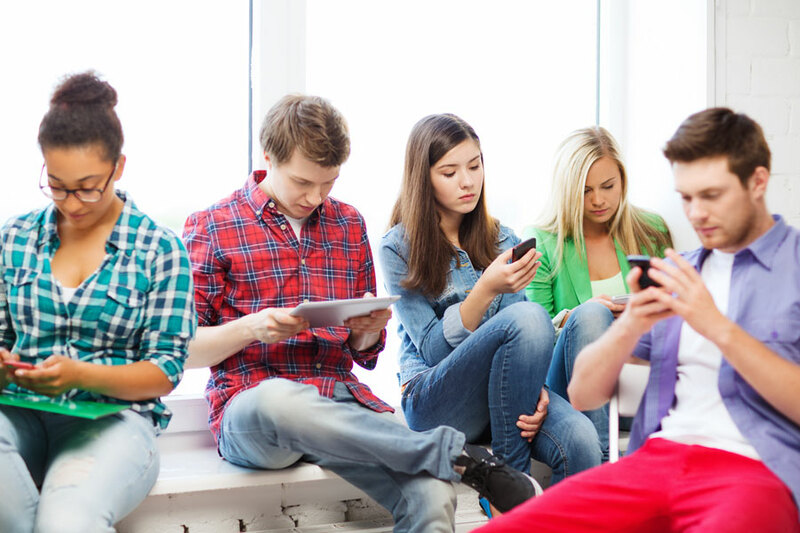 Don’t allow use of the phone by teens at night, or quite frankly in the evening, where you can be making dinner, sleeping or out running errands, and they can be sitting on their phone texting and perusing social media sites and YouTube videos ad nauseum. Keep the phone until the teens head off for school. If necessary, find the affected person a counselor to prescribe a program to reduce time spent using social media and to calm the obsession. With the increase in teen and adult suicide, depression, and anxiety, reducing social media influence in your life and theirs is a win-win. Your life and theirs will be better for it. Lastly, let me share what a wise (both sage and smarty pants) friend once told me: “Karen, here is what I want from a phone… when I talk into it, people can talk back to me, if I need to text, it will send it and I can receive one, people can leave me a message, and occasionally, I may want the GPS app, beyond that, it is just wasting my precious time, and life here on this earth is too short already to spend on my phone or digital device.” Well said!